Can you believe the year is nearly over? Whoever said the holidays were a quiet, peaceful time, probably wasn’t running a small business. Of course you want to enjoy the festive season, but it also just happens to be the busiest time of the year. On top of that, you’re running out of time to hit the sales goals you set for the year. So we put together this powerful toolkit to give you what you need to get out ahead on your holiday planning, starting with Small Business Saturday, putting you out in front of your customers, and boosting your sales quickly and easily. 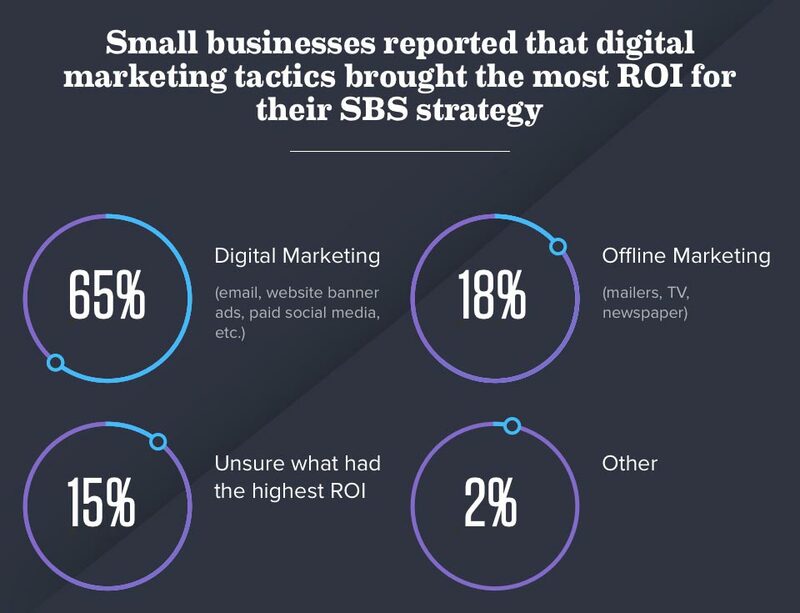 70 percent of small businesses who plan to participate in SBS plan to use digital marketing to promote their business. You're busy. And it's the busiest time of the year. We want you to have these super useful tools so you can check all your holiday promotions off your list. Situated smack dab in the middle of the biggest consumer buying weekend of the season, Small Business Saturday is one of the year's biggest selling opportunities for small businesses. Momentum has been building since the first SBS, launched in 2010. 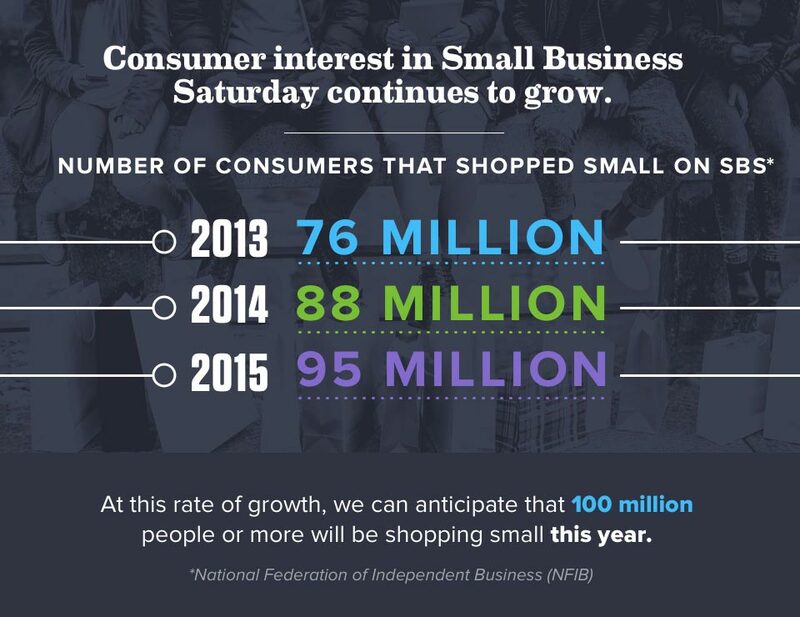 Consumer awareness has grown so much that we can reasonably expect that 100 million consumers will seek out small businesses to support this year! 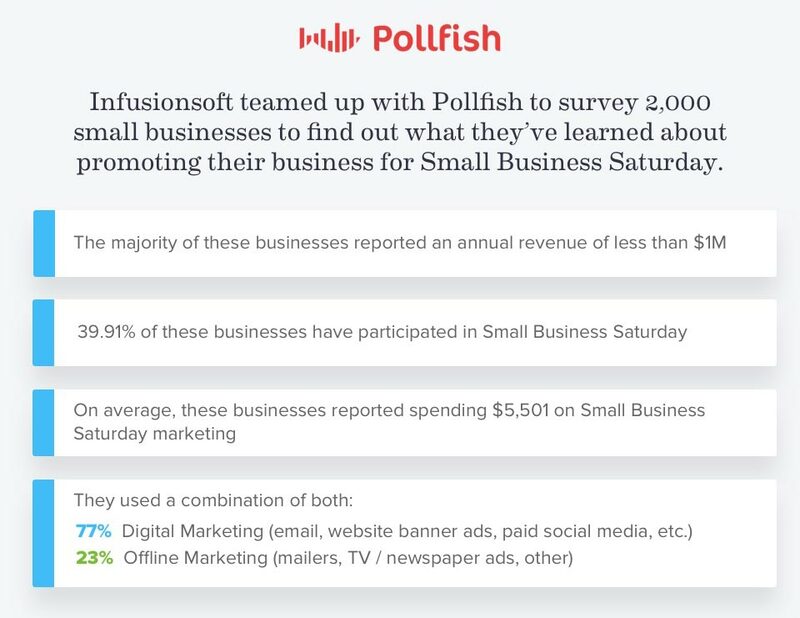 We teamed up with Pollfish.com to run a survey targeting individuals who owned or worked in small businesses to find out just what they’ve done and what they plan to do to prepare for SBS. Most of our respondents were in businesses that reported less than $1 million annual revenue per year. They reported a wide range of spending on marketing for Small Business Saturday, from as little as $0 to as much as $20,000. The average spend was just over $5,500. 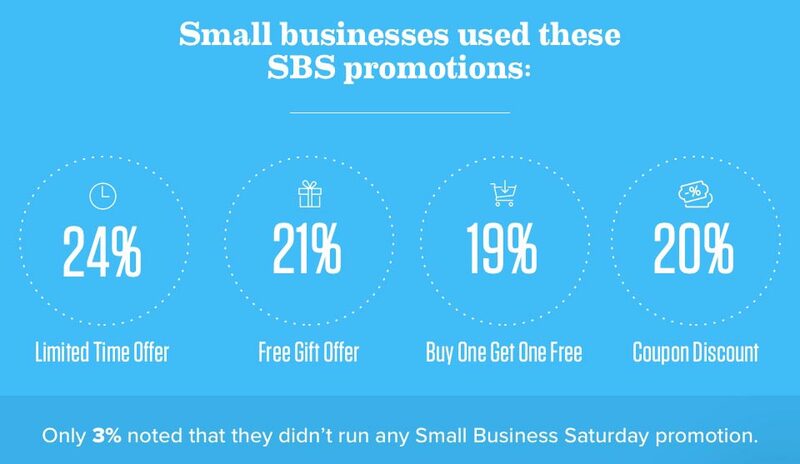 Around 40 percent of businesses reported participating in SBS in the past. Those that participated used a blend of digital marketing tactics (which includes email campaigns, paid social media advertising, website banner ads, and more) and offline marketing tactics (including mailers, newspaper and magazine ads, etc.). By far, digital marketing tactics were the most prominent at 77 percent. When asked which marketing tactics brought in the highest return on investment (ROI), digital marketing was again the winner. Somewhat surprising was that 15 percent of respondents weren’t sure which tactics brought the highest ROI. 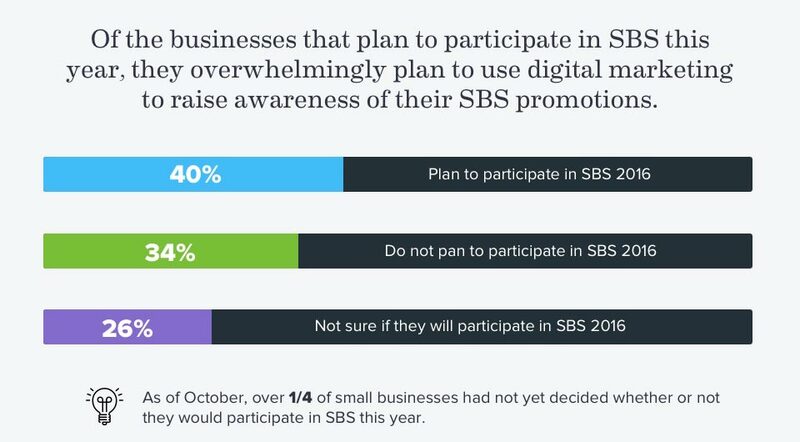 We ran our poll in early October, and found that many (more than a quarter of respondents) weren’t sure if they would be participating in SBS this year. For those who were planning to participate (40 percent), 70 percent of them were already planning to use digital marketing in their promotion strategy. Knowing that small businesses are often so busy they can’t plan their holiday season until the last minute, we wanted to offer small businesses marketing plans that they could implement right away that would bring about the highest ROI, helping them compete in this busy season. Email marketing is incredibly powerful, and it’s the easiest tactic to put together at the last minute, which is why our plans center on email. 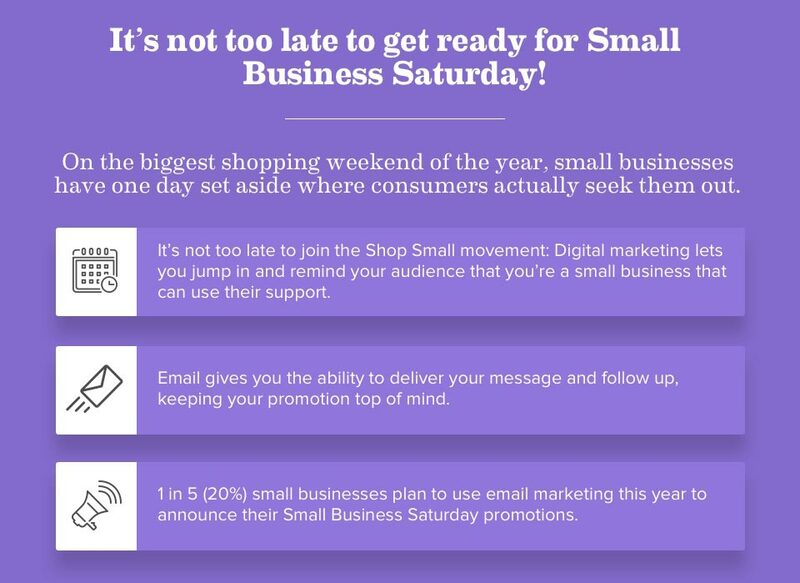 In fact, 1 in 5 small businesses plan to use email marketing this year to announce their Small Business Saturday promotions. To make it super easy, we included templates to get you going, and reduce the need to rack your brain to find the right words to say. What is it? : This marketing plan makes use of the flash sale concept: a limited time offer or discount. The power of the flash sale is that you can build anticipation in the lead up to the sale and follow up with reminders to direct customers either to your website or your store (or both). What's in it? : This plan includes instructions and two sets of email templates; one set of emails for a limited time discount offer, and one set for a buy one, get one free offer. The templates can be adjusted to fit the specifics of your offer. Who's it for? : Businesses that sell products (retail, restaurants, and online merchants) will find this plan most effective. What is it? : This marketing plan makes use of a coupon to receive a discount, reward, or free gift. In this plan, your email templates will include a coupon that can be printed and redeemed at a brick and mortar store, or an offer code that can be redeemed at your online storefront. What's in it? : This plan includes instructions and email templates. The templates can be adjusted to fit the specifics of your offer. Who's it for? : Businesses that sell products (retail, restaurants, and online merchants) will find this plan most effective, but businesses that sell services can also use this to entice customers to redeem a coupon for a service. What is it? : This plan works best if you have a lead magnet to use for promotion. A lead magnet is a downloadable offering like an ebook, report, or other goodie that asks your audience to give you their email address in order to receive it. The campaign continues with a follow up email series to offer a consultation. This plan uses the SBS as the center for your push to offer your consultation for free. Who's it for? : Businesses that primarily sell services can use this to boost free consultations and boost business through the holidays. What is it? : What we call the most wonderful time of the year is also the most stressful. In a study by the American Psychological Association, 85 percent of Americans said they’re more stressed about their lack of time during the holidays than throughout the rest of the year. And since small biz owners have to cover all the bases, it can feel like the holidays are a madcap scramble just to keep the garland up. This resource is all about getting organized for the burst of activity around the holidays. What's in it? : In this guide, you'll find a ten-step plan for organizing a holiday promotion, along with stories from three small businesses that boosted sales through well-planned holiday marketing campaigns. Who's it for? : Any small business that wants to cash in on the holiday season. If you sell toys or Christmas decorations, you're probably not hurting for business this time of year. But even if your products and services don’t obviously relate to the season, you can still grow sales with a holiday promotion. All it takes is a little creativity and a solid strategy. We've included a live three-part webinar series with an Infusionsoft sales and marketing expert to help optimize your campaign so that you can get it up and running super fast. We'll show you how to build the perfect customer lifecycle so that you can take these strategies beyond SBS through the holiday season and into 2017. Filled with case studies and examples of campaigns that work, this series discusses strategies you can use today from strategy, to launch, to execution. Find out what messages work, what your prospects respond to, and how to stop losing leads. Use data learned from reengagement, create a great way to pump new leads into the funnel and move them toward purchase. When you optimize the back end of the funnel, you can create strategies for referrals, upsells, cross sells, and customer delight. Take note of these dates—you don’t want to miss a thing. And we'll be sure to do our part by reminding you as we get close to the date. Most importantly, you’ll have access to the question and answer format. You’ll have the personal attention of an Infusionsoft business expert who will help you through your own unique strategy. In fact, we want to give you the most access possible. You can email your questions any time prior to the webinar, and we’ll be sure to address them first during the webinar. We've pulled together over 50 stock photos that are completely free to use. We did the hard work of sorting through tons of images (most of which are ho-hum) and we found some gems with a holiday/SBS theme. If you’re short on time, you can pop them into your emails, your SBS landing page, or your coupon download to add a little spice to the text. We've ensured that these have been released free of copyright restrictions under Creative Commons CC0, which means they are free to use, and you don’t even have to attribute them to the photographer. All you have to do is pick them out, edit them (if you'd like), and plug them into your campaigns. While the plans and concepts in this toolkit have been customized for Small Business Saturday, they're actually tried and true email marketing campaigns that can be used year round for all kinds of promotions. Email marketing is powerful, and thousands of small businesses use it as the centerpiece of their digital marketing strategy. However, managing numerous email campaigns can be complicated and labor intensive unless you have automation to help you handle it. We'd love to show you how Infusionsoft marketing automation can really elevate your email marketing, and how it can take your business to the next level in 2017. Check out our free demo. There's a good chance you’ll fall in love.